The second most popular drink in brazil is here for you in its finest form from germana. 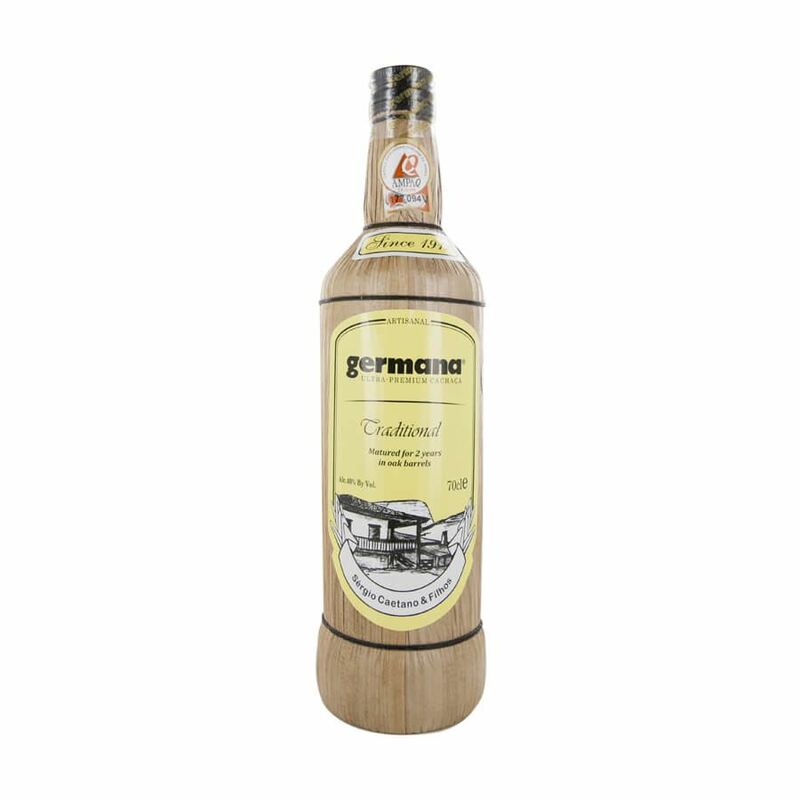 germana cachaça is a fine honey-coloured spirit which benefits from two year’s aging in oak barrels. the oaky flavour is present in every bottle and the banana-leaf wrapped packaging adds a distinctive look to this cachaça. full bodied and not shying away from its most intensive flavours, germana is wonderful alone or added to any number of cocktails.